After Pep Guardiola’s perfect start at Manchester City, it appears that the honeymoon period is well and truly over. Ten wins from ten matches were followed by a six game winless streak, with certain players unable to maintain the standards they themselves have set in the opening month and a half of the 2016/2017 Premier League season, while others have simply failed to get going at all. Let’s take a look at some of the main culprits. Many people expected Kolarov to depart Manchester in the summer transfer window, but a rumoured move to Besiktas failed to materialise. This left the majority of City fans disappointed, as they felt that the Serbian full-back had very little to offer, particularly after a dire year during Manuel Pellegrini’s final season at the club in which his performances epitomised the lethargic football played by the team as a whole. Great things were always going to be expected of Pep Guardiola, but turning the much-maligned Kolarov into something of a world beater was completely unexpected. His performances during Pep’s first ten games, in both centre-half and full-back, were exceptional, but this is what makes his recent performances even more disappointing. Kolarov’s precipitous drop in form coincided with City’s winless streak, and it appears that the former Lazio man is in danger of losing the patience of the City fans after a string of mistakes. Glaring back-to-back errors against Celtic and Tottenham have taken the gloss off of Kolarov’s excellent start to the season, and if he wants to maintain his status as a first team regular, a swift return to form is needed. The last goalkeeper to displace Joe Hart at Manchester City managed to win over the fans on his debut. Shay Given turned in a world class display, saving four clear-cut chances, in a 1-0 win over Middlesbrough back in 2009. Even then, the decision to bench the man who had been with the club since the age of 19 was greeted with hostility. Therefore, it is no surprise that Claudio Bravo’s disappointing start to life in Manchester has seen plenty of criticism thrown his way. With every misplaced pass comes a ‘could Hart have done any worse?’ comment, while high profile mistakes against Barcelona and Manchester United have done little to help the Chilean’s cause. Pep Guardiola has taken a huge leap of faith by bringing in Bravo as his number one ahead of fan favourite, Joe Hart, and the former Barcelona stopper now needs to repay that faith. Bravo didn’t make a single mistake which led directly to a goal in his two years at Barcelona, and what we need to see from him now, is that same consistency. Perhaps this is slightly harsh, but I have been quite disappointed with what I have seen from Sané so far. 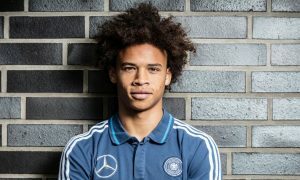 If you look at the price we paid to secure Sané’s services from Schalke – thirty-eight million pounds – it would not be unreasonable to expect instant results. While we have seen flashes of brilliance from the German international, he has failed to impose himself on any of the games that he has appeared in, and has looked to be lacking the tactical discipline required for Pep Guardiola’s system. Time is on the former Schalke man’s side, however. We must not forget that while we paid a lot of money for Sané, his valuation is not a factor that he is in control of. He is just twenty years old, living in a foreign country, and is still trying to adapt to a different style of football. Furthermore, Sané was signed late on in the transfer window and so did not benefit from a full pre-season with the club, and then sustained an injury which caused him to miss the first month of the season. It would be completely foolish to write him off so soon into his Manchester City career, but Sané must start to show more than just glimpses of his ability if he desires a regular spot in Guardiola’s starting line-up.